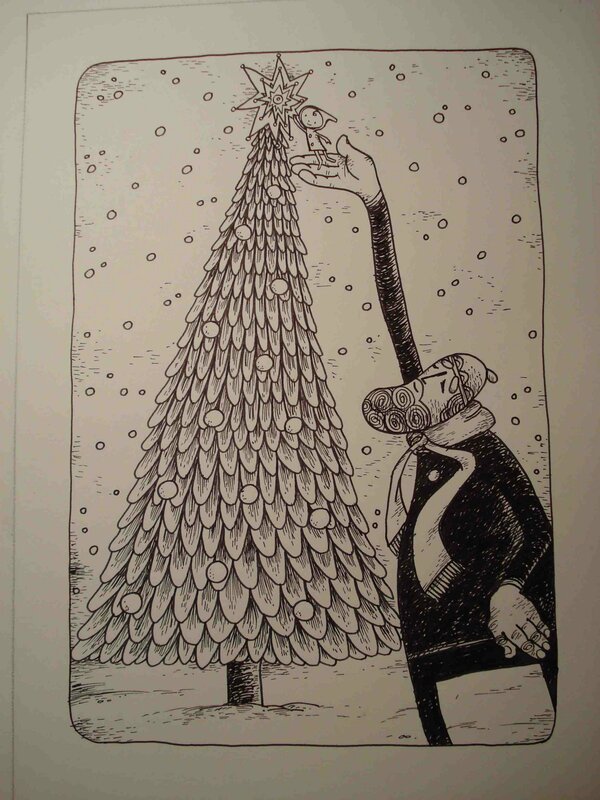 Today over at Kirkus, I write about Eileen Spinelli’s Cold Snap, illustrated by two-time Caldecott Honor-recipient Marjorie Priceman. That link is here this morning. 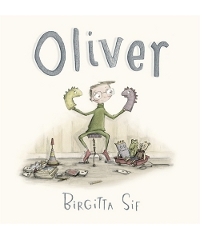 Last week’s column was devoted to Birgitta Sif’s Oliver. (Misfits unite! Oh, and introverts, too!) 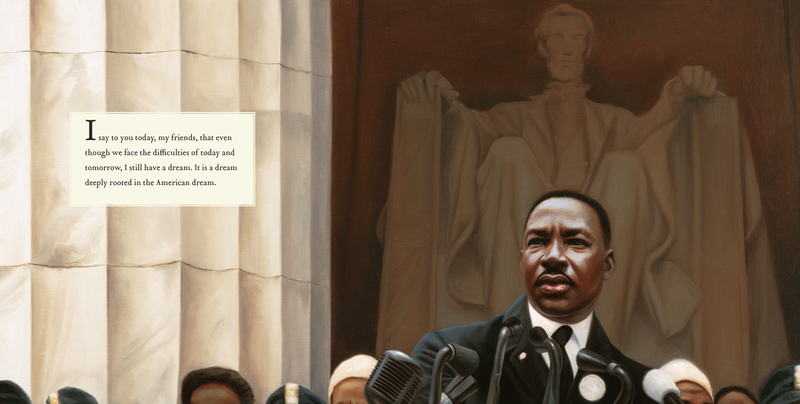 Here is that link, and today I’ve got two spreads (above) from the book. OLIVER. Copyright © 2012 by Birgitta Sif. 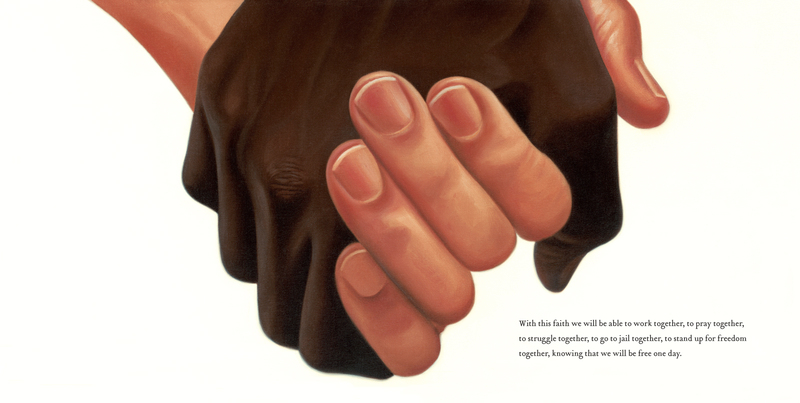 Spreads reproduced by permission of the publisher, Candlewick Press, Somerville, MA. First up, regarding the video above: I admit that here in 7-Imp Land, I tend to fly by the seat of my pants. 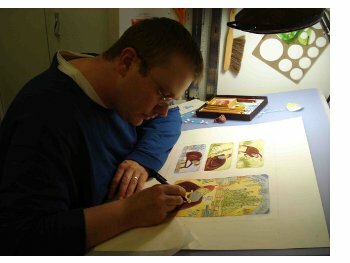 I never really have a schedule for what I’m going to post when, but I can say that it will be very likely that my first “breakfast” interview of 2013 will be with author/illustrator Stephen Savage. That’s ’cause he’s still busy trying to find Walrus and couldn’t quite meet with me for breakfast this month. Now, let me tell you … this Stephen Savage … he missed a calling in film direction, but let’s just say I’m not exactly a video ninja, so we happily decided to do a straight-up, traditional written breakfast interview instead. (Stephen had infinite patience with my video-bumbly self.) 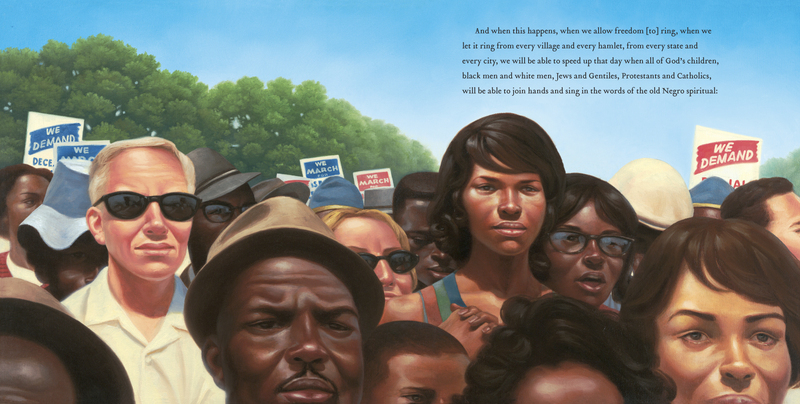 We’re going to do it in early 2013, since his new illustrated title with Lauren Thompson will be out then. 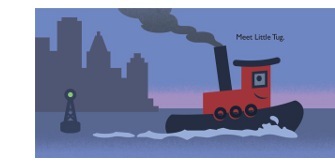 So, I look forward to that in January: He will tell us more about the new book, as well as about Little Tug (pictured above), which was released in October and which I hope you’ve seen. …to which I say, amen. Here is a link to the full article. 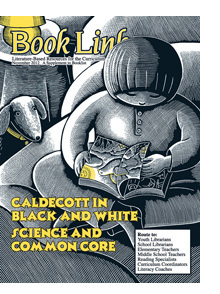 As you can see, a subscription is required to read it, but I bring it to readers’ attention here, should your local library have access — and because it really is a great interview. Steve is visiting this morning in what is—triumphantly (to me anyway, since I’ve missed them)—the return of the 7-Imp breakfast interview! I got really super swamped with manuscript revisions for a bit there, so I haven’t done a breakfast interview in a while, but for now I’m back to a normal (for me) schedule. For this, I roll out the red carpet for Steve. Steve tells me way more about his career below over breakfast (“truck-stop” eggs), and he shares lots of art, for which I thank him. 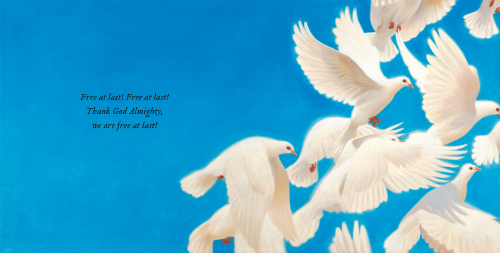 His very latest picture book, also released by Candlewick (October), is the charming story of a young girl, named Zephyr, who loved airplanes and one day hoped to fly one of her own. (Yes, it makes me happy that this little girl is into planes, and guess what? Her dad also wears an apron and cooks, and her mama is the one in the shop—or maybe it’s a garage—with tools repairing things. Take that, gender sterotypes.) I couldn’t sleep at night if I gave away the entire story of Zephyr Takes Flight, in case you want to read it for yourself, but it’s an entertaining story that tips its hat to more than one kind of flight (actual flight, as well as flights of the imagination) and brings us an irrepressible picture book protagonist in the free-spirited Zephyr. 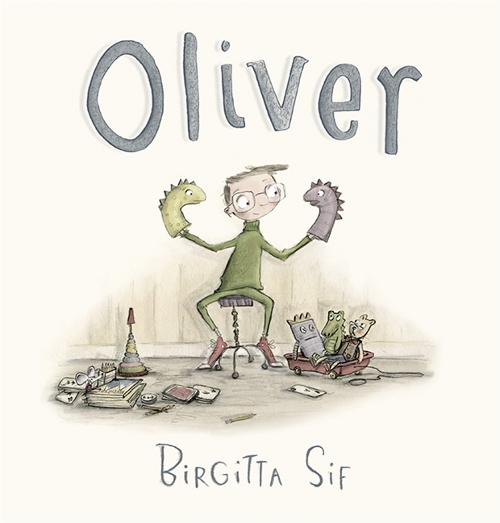 This morning over at Kirkus, I write about Birgitta Sif’s Oliver, released by Candlewick in October. 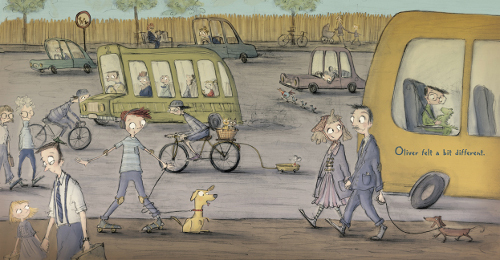 Sif is a debut author/illustrator, originally from Iceland. Last week at Kirkus, I chatted briefly with the very talented Barbara McClintock about her illustrations for Ellen Bryan Obed’s Twelve Kinds of Ice (Houghton Mifflin, November 2012), as well as her artwork for Leave Your Sleep, a selection of classic children’s poetry first adapted to music in 2010 by Natalie Merchant. 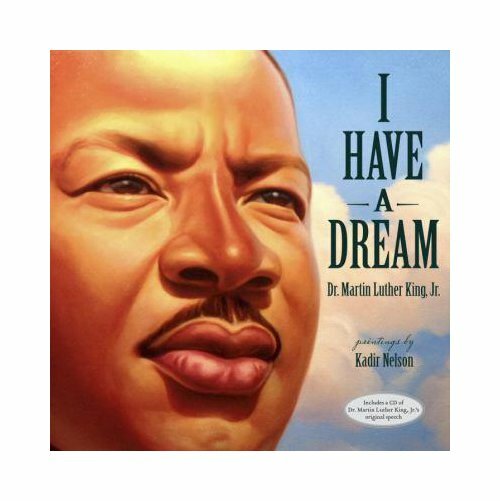 (This, I must add, is a CD my children and I have enjoyed immensely. To say that Merchant’s meticulously-researched adaptations of these poems to music are impressive would be 2010’s biggest understatement.) This beautiful new picture book collection was released by Frances Foster Books/Farrar, Straus and Giroux earlier this month. Today, I follow up with some artwork and images from Barbara, mostly from Leave Your Sleep. 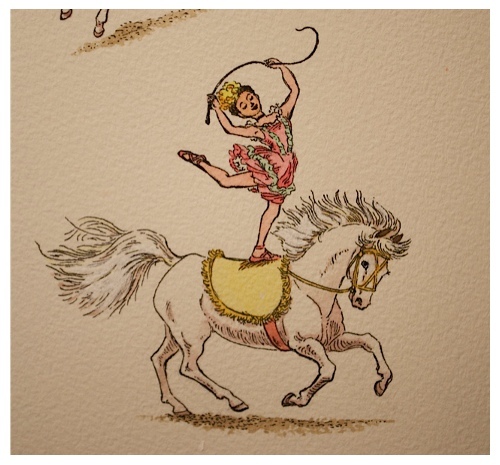 Barbara shares here her inspirations for some of the artwork, as well as some sketches and even some home and studio shots. I thank her for sharing. 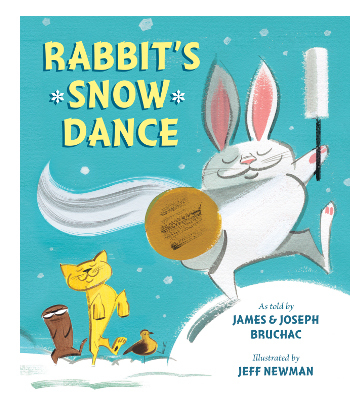 Who has read James & Joseph Bruchac’s Rabbit’s Snow Dance, illustrated by Jeff Newman and released early this month by Dial? Raise your hands, please. If not, may I boldly recommend tonight that you find a copy and experience it? There. I just did. 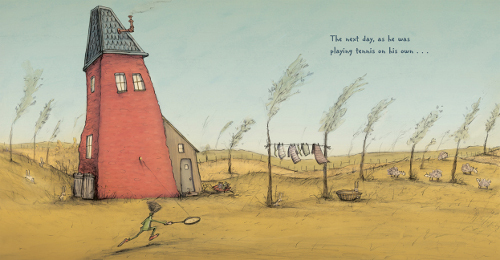 This picture book, sub-titled A Traditional Iroquois Story, is a read-aloud treat. 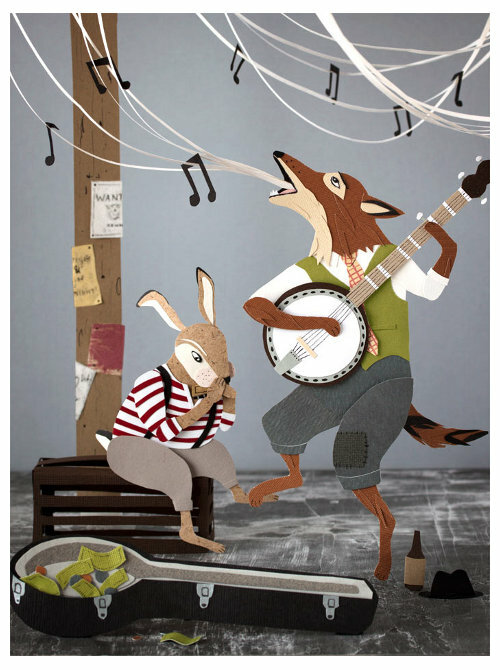 Telling the story, a traditional Native American fable (ever-so perfect for winter), of why Rabbit’s once long, beautiful tail is now stubby-short, the Bruchacs (father and son, both storytellers) incorporate engaging chants and rhythms into the text (“I will make it snow, AZIKANAPO! I will make it snow, AZIKANAPO!” and “EE-OOO! Thump! Thump! EE-OOO! Thump! Thump! YO, YO, YO! YO, YO, YO!”), daring you not to tap your foot as you read. I don’t want to give away the story here, but there’s a lot of humor here, especially given our protagonist’s excessive pride. The artwork here is by Jeff Newman, who visited for breakfast in 2010. I always like to see what Newman is up to. 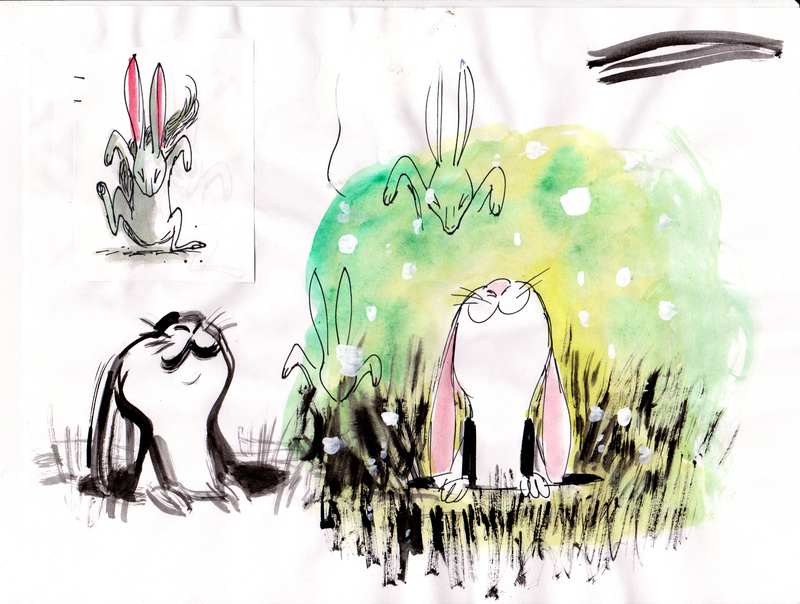 There are some final spreads at the bottom of this post, as well as some sketches, storyboards, and dummy images, so you can get a good sense of Newman’s style with this one. Check this out, too, something I wish so super bad I’d written: The Publishers Weekly review of Rabbit’s Snow Dance wrote, “Newman’s influences are comparatively modern—think Mary Blair with a touch of Hanna-Barbera.” Right? RIGHT. That fits. That works. It totally and entirely does. You can see this below in the images he shares. 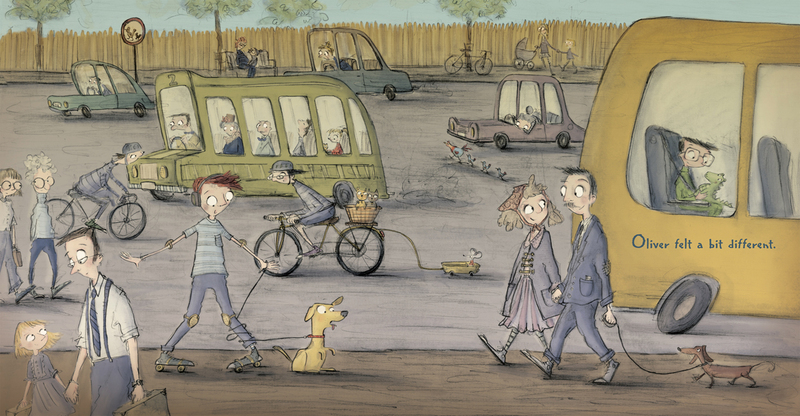 The best thing that came out of writing about Elin Kelsey’s You Are Stardust, illustrated by Soyeon Kim, which I did here at 7-Imp in September, was that I met Jayme McGowan. (Well, I cyber-met her, though I wish I could say we had actual coffee together.) 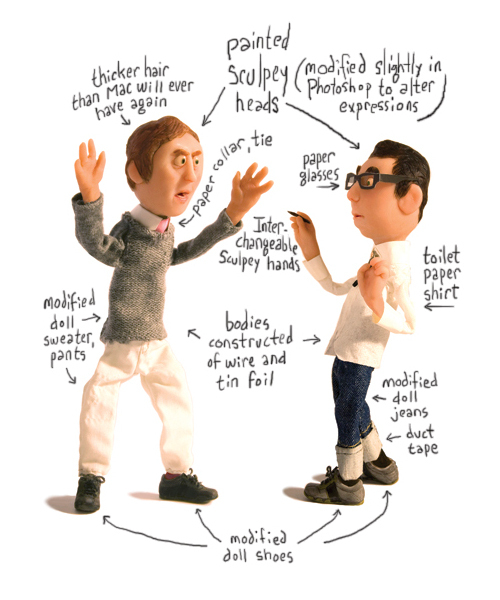 She contacted me after reading that post to tell me she also works in cut paper/3D art, and then I visited her site and knew I’d want to feature her at 7-Imp some day very soon. Today at Kirkus, I write about Schwartz & Wade Books’ new I Have a Dream with the exquisite oil paintings of Kadir Nelson.